I love this mod, but I was just wondering, do you plan on updating it to squash bugs and add new features, or is the mod abandoned? I love this mod! Now i can build redstone in crammed places! 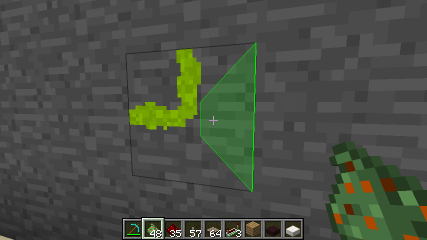 The Texture isn't showing up, all it does is show blocky squares and rectangles instead of the proper texture. Textures of the other objects won't show either except the remote stuff. Why? I assume it's fine to make a CurseForge pack including this mod, but I'll leave a note here just in case. The pack project is hosted here. Thanks! Redstone is not placed under the half-blocks of mods "Chisels & Bits" and " Better with mods"
this is a mod i've been looking for, pretty much compact redstone which is STUPIDLY SIMPLE! the paste does not power through blocks any more? it is a bug or was the feature removed? Hi, I did the translation of your mod into Spanish. I can't believe this isn't in the vanilla game! An alternate 16x16 set of textures for the Redstone Paste would be fantastic! Hi, just wondering if the creator would build a server version of Redstone Paste. Letting everyone know you can't make torch gates with this. Running powered paste into a torch does nothing to it. If you want nand, and, nor, or, and so on you'll need to use vanilla mechanics. 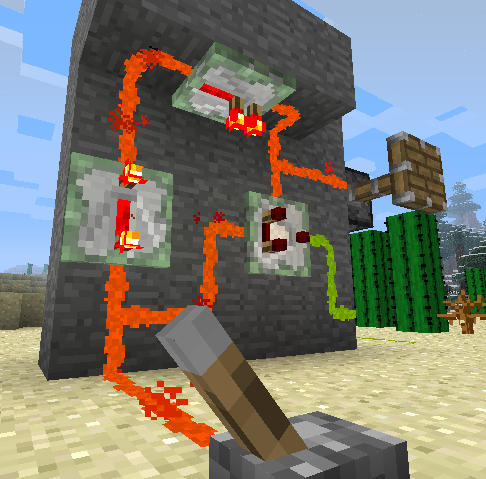 Running normal redstone into a redstone torch does nothing to it, because redstone torches take input only from the block they're attached to. 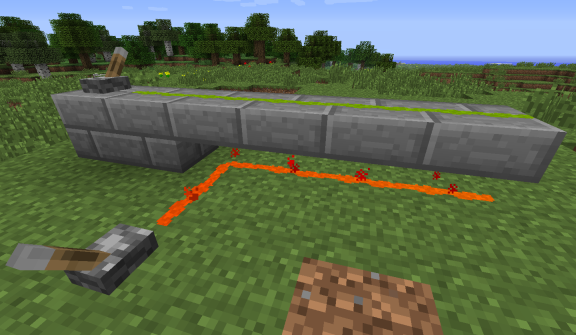 To make a gate, you need your signal to power the block that the torch is attached to, not the torch itself. 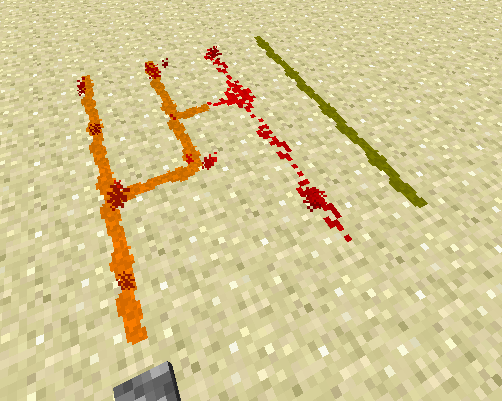 So figure out how to make redstone paste power that block. There is an optional wire look with no particles? I was searching for a bundle cable mod for 1.12.2, with no luck, I guess this is the most close option right now. Oh it's possible to have a The One probe support or similar mods so we can know the power strength? Btw, just tested this with 1.12.2 and it works flawlessly, feel free to retag it for that.